While there is a lot of controversy surrounding Chris Brown, one thing is for sure: this guy knows how to sing and dance. While this may sound obvious, in today’s show business this isn’t necessary present and it has been that way for a while now. As many other celebrities we talked about earlier here, Chris Brown started his career very early. It was his mother who recognized his vocal talent before anyone else and began to look for record deal opportunities for her son. Thanks to her efforts, Chris was discovered by Hitmisson Records when he was only 13 years old. Now he could have a proper vocal coaching and… he continued to impress. He was promoted to a number of record labels until he ultimately settled on Jive Records, because it seemed to have the highest success rate when it came to young performers with Justin Timberlake and Britney Spears being good examples. Things seemed to roll for Chris. He captured the hearts of the audience by his image of boy next door and romantic songs combined with awesome voice and dance prowess. 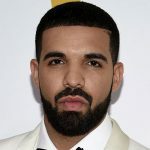 However, his career was significantly undermined by a number of legal issues starting from domestic violence case where his then-girlfriend Rihanna was left with serious facial injuries to several fights in the years that followed. It seems that Chris Brown has anger management issues in addition to bipolar disorder, according to the court documents. Bipolar disorder is a manic-depressive illness that is characterized by unusual shifts in mood and energy levels. While recent studies found that only a small percentage of violent crimes is associated with mental illness, there is no doubt that Chris’s mental disorder does contribute to his legal troubles. Talking specifically about bipolar disorder, the statistics say that between years 1973 and 2006 only 4.9 percent of people convicted of at least one violent crime had bipolar disorder. However, a whopping 21.3 percent had bipolar disorder combined with substance abuse. According to some reports, Chris Brown is quite found of weed which definitely makes his bipolar problem much worse. In addition, Chris suffers from another health problem: seizures. He had seizures from his childhood and it continued in his adult life as well, getting worse due to the constant legal battles, extreme fatigue and enormous stress. The bottom line is that despite his awe-inspiring net worth of $22 million, Chris is unlikely to enjoy this amount to the fullest. Another proof that money can’t buy happiness!